Plex and Kodi have dominated the media center landscape for a long time, but Emby is becoming an increasingly popular choice among users. In truth, Plex and Emby are more alike than Plex and Kodi. First and foremost, both are dedicated media servers. In contrast, Kodi either requires expert-level knowledge in MySQL or a far-from-ideal workaround to make it work as a media server. So, if you’re new to the world of cord cutting and home media, which one should you choose? Emby or Plex? Which is the best? Keep reading to find out. We’ll start with a quick word on cost. Both Plex and Emby offer a premium plan. They introduce extra features which make the apps shine (though some of you might decide you don’t need a Plex Pass 5 Reasons Why You Don't Actually Need a Plex Pass 5 Reasons Why You Don't Actually Need a Plex Pass Do you actually need a Plex Pass? Is a Plex Pass worth it? Here are several reasons why you may not actually need it. Read More ). A Plex Pass will set you back $14.99 for three months or $119.99 for a lifetime subscription. Emby Premiere is similarly priced; the monthly plan costs $4.99/month and the lifetime subscription is $119. Both Plex and Emby use a client/server setup. You need to install the server app on the computer or NAS drive where you keep your local media and the client app on any device on which you want to enjoy the content. Setting up both apps’ client software is as easy as installing the program and entering a code. The complicated part is setting up the server software. The process on Plex is more straightforward than on Emby. In broad terms, it’s more geared towards the mass market and non-tech-savvy users. For example, when you’re creating a movie library on Emby, you’ll see advanced options such as whether to enable chapter image extraction and whether to download metadata images in advance. The settings will appeal to experienced heads but may be off-putting for newcomers. Thanks to its more substantial budget, Plex is the more polished of the two apps. As such, it’s fair to say it offers a more enjoyable and easy-to-use navigation experience. Of course, much of this is subjective; there’s nothing wrong with Emby’s navigation, Plex just feels more professional. For someone who’s used to dealing with slick operating systems on Apple TV, Android TV, and other set-top boxes, the switch to Emby can feel jarring. One of the areas in which Kodi has an advantage over Plex is in the level of customization available. Emby shares this advantage. If you like to tinker with endless settings and tweak the UI to your own specifications, Emby is the better of the two. If you have the knowledge, you can apply your own CSS to the web app, change the login screen, use other people’s themes, and a whole lot more. None of which is possible on Plex. Much of the customization is possible thanks to Emby’s open source nature. Plex is closed source. Plex and Emby both offer a live TV and DVR feature. Whereas Live TV on Plex Plex Live TV: Everything You Need to Know Plex Live TV: Everything You Need to Know Plex has added live TV channels to its service, but what exactly is Plex Live TV? We have everything you need to know about this exciting new option for cord-cutters. Read More is restricted to premium users, Emby users can watch live TV for free through the web app but will need to subscribe to Premiere to watch it on any other device. Naturally, there are some design differences, such as Plex’s integrated electronic program guide Plex Adds a Traditional Live TV Channel Guide Plex Adds a Traditional Live TV Channel Guide It turns out people can't bear to be without the grid view that's standard on cable TV. And so users have flooded streaming services with requests for the grid view. Including Plex... Read More (EPG). However, in terms of functionality, they are almost identical. Once again, however, Plex has the edge when it comes to supported equipment. Emby only supports the HDHomeRun tuner natively (and Hauppauge devices on Windows). Plex supports HDHomeRun, DVBLogic, AVerMedia, and Hauppauge. You can add support for other tuners on Emby by using a live TV plugin. It’s also worth mentioning Plex’s news feature Plex News Should Help Keep Cord-Cutters Happy Plex News Should Help Keep Cord-Cutters Happy Plex has launched Plex News, which is comprised of news clips from an array of sources from across the political spectrum. Keeping you up-to-date with what's happening in the world. Read More . It uses machine learning to recommend stories that it thinks you will be interested in. There is no equivalent feature on Emby. This is a big win for Plex. Assuming all your devices are on the same network, Plex lets you stream your content around your home for free. You do not need to subscribe to Plex Pass. Emby, on the other hand, is a mixed bag. 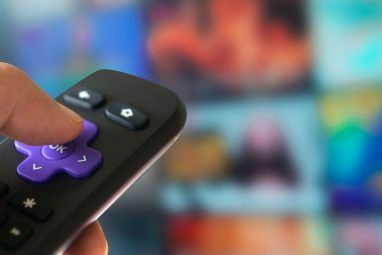 It will only let you enjoy streamed content via the web app, Roku, Apple TV, and Samsung Smart TVs. 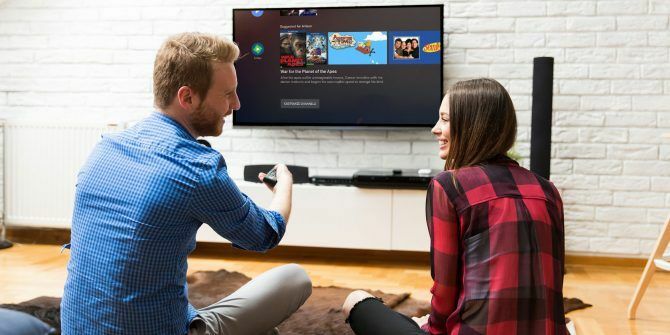 If you want to stream content on Android TV, Amazon Fire TV, Android and iOS tablets, and other devices, you will need to either pay the App Unlock fee on a case-by-case basis or subscribe to Premiere. The ability to stream content when you’re away from home is a premium feature on both apps. Assuming you have the subscription, you can download content for offline viewing, sync a video’s “watched status” between devices, and stream content directly from your server. Setting up remote streaming on Plex and Emby is as simple as enabling the feature in the server’s Settings menu. Plex and Emby both support third-party extensions. They are made by the community to enhance and extend the apps’ core functionality. One of Plex’s best features—the Unsupported App Store—is a third-party extension. It allows you to access some brilliant unofficial Plex channels 20 Unofficial Plex Channels You Should Install Right Now 20 Unofficial Plex Channels You Should Install Right Now With the Unsupported AppStore, you can unlock new Plex content to watch. Here are the best unofficial Plex channels to install. Read More . The Unsupported App Store is easy to set up and install How to Unlock More Channels on Plex With the Unsupported App Store How to Unlock More Channels on Plex With the Unsupported App Store There are hundreds of Plex channels available through the Unsupported App Store. Here's how to install it and unlock the extra content. Read More . There are also dozens of officially-supported add-ons, called Channels, to choose from. Because Emby is the newer of the two apps and has a smaller userbase, its list of third-party plugins is less extensive. Nonetheless, both apps have many of the big-name plugins that most users would want, including TuneIn Radio, Trakt, and ITV Player. The Plex and Emby server apps are both available on Windows, Mac, Linux, FreeBSD, Docker, and a wide selection of NAS devices. The only difference is that Plex supports Drobo NAS devices whereas Emby does not. Both client apps also support all of the major desktop operating systems, mobile operating systems, and streaming boxes. However, once again, there are some devices and services which Plex supports but Emby does not. They include Sonos and Android Auto. Also, on Emby, you need to subscribe to Premiere to access the Amazon Alexa plugin. Look, we have nothing against Emby. It’s a great app that deserves enormous praise for taking the fight to Plex. Competition is a good thing; at the very least it will force Plex not to rest on its laurels. However, it’s hard to argue that Plex isn’t the better of the two. It offers more native features, supports more external devices, provides a smoother user experience, and has a more polished interface. We’re sure some of you will disagree with us, so please leave your opinions in the comments. And if you’d like to learn more about Plex’s features, check out our list of Plex plugins for power users The 10 Best Plex Plugins and Addons for Power Users The 10 Best Plex Plugins and Addons for Power Users You don't need addons to use Plex. But power users may want to get more out of it and these Plex plugins will help. Read More , how to use subtitles on Plex How to Use Subtitles on Plex: Everything You Need to Know How to Use Subtitles on Plex: Everything You Need to Know Plex supports several subtitle solutions for your media, but they're all disabled "out of the box." Here's everything you need to know about how to use subtitles on Plex. Read More , and how to watch Plex in virtual reality You Can Now Watch Plex in Virtual Reality You Can Now Watch Plex in Virtual Reality Plex has launched a new app called Plex VR. This means you can watch Plex in a virtual apartment or drive-in theater, and even invite your real friends along to share your virtual popcorn. Read More . Explore more about: Emby, Media Streaming, Plex. Neither Plex nor Kodi is worthwhile if you have a library of your DVDs stored on your desktop computer that you want to play from an Android device like a Fire Stick. Plex can de-interace DVD video, but can't play DVD folders and present the menus. On Android devices, Kodi can do the latter, but not the former. I still haven't found out what Emby can do. Why are so-called "media servers" so incompetent for DVD video? I'm looking at Emby at present due to significant and ongoing issue with Plex. For years it just worked. Now, every time I turn around it has issues and there is no real support even though you are paying for premiere. Currently it just crashes continuously with no changes at all to my system. So, if Emby works and is stable, I'm switching. The reasons stated why Plex is the best choice are simply not significant enough to overcome the recent instability issues with Plex. Maybe I'll run them both and hope one will always be working :). Emby works waaaay better than Plex. Whereas Plex has trouble transcoding and/or finding certain types of video files, Emby has no problems. Plex is finnicky about file names, Emby rarely gets the metadata wrong, and when it does, it's an easy fix. As someone that has used both, with a couple terabytes of music and videos, Emby is the way to go. Once Emby supports Android Auto and Opera TV's there will be no downfalls. 4. Heavy focus on new features and less on improvements to existing platforms such as performance, stability, usability. Started evaluating Emby today, looks good so far. Lol. I like the line “ we’re sure some of you will disagree with us” Uhh. I haven’t seen one comment that agrees with your article. I wonder how the news that Plex is removing all 3rd party plugin/channel features, that many people use Plex for exclusively, will change this review. Not being able to access channels or install plugins for agents and other useful things seems like a big mistake. This is the entire reason I am reading this article. I am frustrated with plugins/agents I have relied on suddenly not being dropped. I started trying out Emby. Also the new style apps are horrible. I could have lived with them but if not for the plugin/agent support being dropped. I'd switch to Emby today if my older Mac would run it. I share the outrage over missing plugins and, honestly, the new interface is confusing and overwhelming if you are new to it. I'll need to look into turning one of my old Mac boxes into Linux and take on Emby. A new adventure! There is some missing info here for sure. One of the biggest pieces is the ability to utilize M3U playlists in Emby. This requires an annoying workaround in Plex that is pretty unstable, but works perfectly in Emby. They also added a built in guide recently. Does Emby transcode/sync to a Windows device? If I could get this to happen, I could leave my iPad at home and just take my Surface which is what I cannot get Plex to so because of the lack of codec support on Windows. Other than the new ignorant UI changes in Plex (like completely rearranging the home screen and screwing with your ON DECK feature), I've not really had issues with Plex.. though I would drop it in a heartbeat if it supported one of the most used Operating Systems in the world. What do you mean that Plex does not support Windows? The Plex app works fine, I use it almost every day. Maybe you have to take a look at your settings? transcoding on Windows works with the Plex Player, the Windows 10 App and also via Browser. I also don,t know what you mean. It would be interesting to revisit this review today. Plex just released a new user interface and many if not most of us are very unhappy. Already 750+ comments on their forum and most are negative. Emby is being listed as an alternative. Despite being a lifetime subscriber, I'm giving Emby a try today. Same here...after being with Plex since the beginning, I’m pretty much done, the new Samsung update keeps telling me my server is out of date, but yet the server says current version. Going to give Embry a try! I've been a Plex Pass subscriber for several years now. But I'm evaluating Emby now for the same reasons. The new interface in the Plex apps isn't nearly as intuitive as the old interface. It looks prettier, but it doesn't work well. It's buggy and crashes a lot-- especially on Windows. Also, the focus lately on integrating stuff like News, Podcasts, Tidal, etc into Plex is a real turn-off. I've been pretty disappointed. One criteria not shown here that was for me of a big importance is the access feature. With emby, you can create account and spread the use without the use of emby proxy server. This is not possible with plex (at least I couldn't find the feature); you have to log through plex server to get access to your personnal server. It is okay if you don't have a domain but unless you do, it is pointless (for privacy most of all). So this is a big plus for emby from my point of view. I like not to share my point of access to a random database. Major issue with Plex is remote access. I want to access my library outside my home and Plex has had persistent problems keeping remote access working. I have a Qnap NAS with the latest firmware and the current version of Plex server and remote access is still unstable. This issue has been on going for months. Firmware and Plex versions constantly update and remote access continues to be unstable. Interested in how stable Emby's remote access is. Any feedback on Emby's access? I have had nothing but problems with plex over the past 6 months. transcoding errors, clients loosing connection with the server. Today I discovered Emby. I installed it on my server and the clients on my LG TV. I did not have to pay for anything to make my android phone, chromecast or my LG TV to work. I have had no transcoding errors and it has been completely stable, way more so than plex. Emby needs some work on the UI but other than that it just works. So it's not just me! I've fought with Plex for months as well. I've rebuilt the server many times, and each time it would start to work then completely drop connections with no clear cause in the logs or the forums. I too tried Emby and have been pleased with the "just works" nature of it. I had been a plex user for years, and was really satisfied with it up until a couple of months ago. Plex definitely has a little more polish on it than emby, but I'll take the product that actually works every time. I'm here looking at Emby for the same reason. I've been a Plex Pass subscriber since 2013... but for the past 6 or 8 months, they've broken my servers (on Windows, Mac, Linux, and NAS - all 4) and mobile apps too many times to count, and I've yet to get a response from anyone at the company offering any help in their forums, which are the only place I can find to actually ask for support. I'm no novice, having a degree in computer science, and my media library is sitting around 20 TB, so continually rebuilding it all, and re-download the metadata every time I have to reinstall because they've broken something is getting old. I had issues using Plex on my Ubuntu server with AMD and Intel chipset. I needed to reboot my server at least once a week. I rebuilt plex on Debian and it's been rock solid since. It hasn't been rebooted for 5 months now, and that was only because I was moving to a new house. I don't know anything about Emby, but I just spent last few days full-time to do something with Plex. Nothing complicated, just streaming movies, music and photos from the server on my desktop PC to my wife's laptop, Samsung smart blu-player, and my Android phone. For the PC's there is a choice of clients - player applications. Windows store app, Plex Media Player, and Web app. Each has some flaws and there is almost no customisation available. The movie part is the best, music OK, but streaming photos is a problem - the UI is horrible and quality is bad. I tried Kodi years ago, abandoned it, tried again recently and abandoned it again. It is not really server/client setup. Setting it up for a home network streaming with Windows 10 is a pain, and the UI is like an oily fish. It may be good on a home theatre PC with a remote, but on laptop or desktop it is a mess, because you need both - keyboard and a mouse to operate it. Plex has a professional looking interface, but look a bit deeper and you have to accept lots of silly shortcomings. The Android app is a loss. I have my photos in folders - allowable on the server, but the Android app does not show it. It is crazy what it does. The Plex forum is full of complaints, but they are deaf or understaffed to do anything. The truth is that in the year of 2018 AD, there isn't a media centre system available for home sharing/streaming that meets high standard of quality and esthetics with logical interface. I've been a Plex pass subscriber for years and while the product is superior to emby in a lot of ways, it also has some crippling flaws -- namely that it regularly has bugs in core features that should have been stabilised years ago, and their support is terrible. Sync, for example (the only feature that keeps me using Plex) regularly breaks catastrophically -- ie breaking so badly that a complete reinstall of plex is the only solution). Complaining on their forums MIGHT get attention from their support... Or your post might get ignored completely. Given this is a paid feature, that's a terrible customer experience. Instead they focus their development efforts on idiotic features like VR support. There is no doubt about it: Kodi is best!! It Free. No 'Pro' junk. Fully community driven and with more versatility than Plex and Emby combined. "Emby, on the other hand, is a mixed bag. 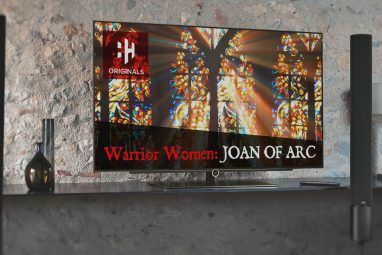 It will only let you enjoy streamed content via the web app, Roku, Apple TV, and Samsung Smart TVs". This is incorrect- a lot more applications are supported. I for instance use their Kodi plugin, but there are a lot more supported devices, just take a look on their forum. Apple TV, Fire TV, and Android TV are all also supported. This article is incorrect when it states "The ability to stream content when you’re away from home is a premium feature on both apps." No, this is not correct. You can stream your library when away from home using both without a premium account. Who wrote this article? I have both setup on my server, but I let my parents use Plex remotely, while I use Emby exclusively at home and when traveling. This article left out one big missing piece about live TV, and that is, cable card usage for non cord cutters. Plex only allows for OTA broadcast, while Emby does both OTA and cable TV. I'm not a cord cutter and have a great deal with FiOS, so being able to use my Nvidia Shield TV's is a huge plus. Plex may have been first, but Emby crashed the party and took it to another level. Overall, they are both great apps. I would ask the author to make the noted corrections to this article. I have HD Homerun Prime, with a cable card, running through Plex. I get all the cable channels, save for the DRM channels (FX and FXX on Fios). So, Plex absolutely supports cable channels integration (at least with the HD Homerun Prime hardware). Plex supports cable card TV. I've had a home Run with Optimum Online's Cable card ($2/month) since I think end of last year. The biggest problem with any of these is handling encrypted cable channels. Just because they say they support Cable cards, doesn't mean they have the software licensing that will allow them to access encrypted cable channels. This was very disappointing. I've been using Plex since 2010 I think. I have a large collection (larger than most users) and my server is very active (about 15 users accessing every week). I'm running it on a little i3 Asus from 2011 or 2012. And I'm amazed at how well plex works. The client capability is all over the place as every device, the age of the device changes the game. I use the samsung app and i'm amazed at how much it direct plays. That said I do agree that Plex has moved onto to other forms of content and not fixed consistent issues with features they rolled out in previous years. I would love to see more focus on improving the handling of basic movie and tv shows. There are features that would improve this and people have been asking for them for years. I am considering setting up emby to see if it could run on the same server so I could gauge how well it works. Lastly, a number of posters talk about Plex constantly breaking their installations. Their BETA stream is really ALPHA. SO don't run any beta builds unless you want experimentation, not performance. I rarely install small builds that come out. I stopped using beta builds back in 2012 or 2013 because they were just too buggy. Stick to the stable stream and only update when you see a feature that you want. I've downgraded in the past away from bad betas. In you user/appdata directory under Plex Media Server will be an "updates" folder with the install EXE from all your previous versions. So like any software that is under constant change, stick to a stable release that works well and only upgrade to stables that offer new features, or perhaps a specific fix you're looking for. Plex can be very stable. I myself may be going back since I had one odd crash of plex last weekend. I can't recall the last time the program just died. I have used both Emby and Plex over the past few years. I own the lifetime membership for both. I recently deleted all Plex related instances on all my machines and now only run Emby. There are more options available with Emby that align with my usage scenario than what I find with Plex. One of my biggest gripes with Plex is that I would never get any responses to issues I would post in the forums. I like beta testing and helping out but I never felt like Plex cared enough to respond to me. However, with Emby responses are almost immediate in most cases and issues actually get looked at and corrected fairly rapidly. Even the design elements are considered based on community desire. Anyway, Emby just works better with my usage needs than Plex. I use emby because of it's superior Kodi integration. The emby for kodi add-on allows you to fully integrate your Kodi library with emby, allowing you to have house full of Kodi htpcs with the same library. Plex recently introduced a similar solution, but it's simply an addon that runs over top of Kodi. This is not true (I have been a developer for both Emby for Kodi and it’s unofficial Plex equivalent called PlexKodiConnect), basically PlexKodiConnect forked the Emby version and tailored it for Plex libraries...it has now grown into a beast of its own with Alexa, Plex companion support etc etc. Anyway just to set the story straight, both unofficial addons (they are not allowed in the Kodi repository due to directly accessing the local Kodi db as opposed to using their Json api) offer similar Kodi integration. runs OVER TOP of Kodi. it doesn't integrate with your skin or anything. Hit the menu button on your remote, and it brings you out of the addon, and back the kodi home screen - get it, bud? Ian is correct, the addons that manipulate the Kodi DB directly are not allowed in the official Kodi repo. However there are two addons that are in the official Kodi repo and work out of the box. both of these work out of the box so to speak. The main point is you have at least 2 addons for each platform to play with. All the Emby Kodi addons (EmbyCon and Emby for Kodi) are completely free and allow unlimited playback, streaming and remote streaming with no restrictions. I have been working on Kodi addons for years, I have worked on a number including the Emby for Kodi addon and most recently wrote and publish the EmbyCon addon to the official Kodi repo. Very early on I tried to write a Plex addon but got ZERO help from the Plex team at that time, when I asked the same questions on the Emby forum I had a response in minutes, so as a dev that is where I ended up spending my time and effort. "The ability to stream content when you’re away from home is a premium feature on both apps." I don't know about Emby, but with Plex this is false. Plex lets you stream when you're away from home for free. Syncing is a Plexpass feature but simply watching your content while not on your home network is free. You are correct. You can stream when away from home using both apps without a premium account. I have used both and my gripe with Plex is they only care about the Plex Pass users. Every feature has to have a Plex Pass user attached to use. Live TV for example no home user could use it. I have a family of 5 and we each have our own login and should all have the same experience but only the main account can have access to everything. With Emby I can setup things the way I want. I pay for a premium subscription and every home user gets the features. If Plex would switch to this model I would switch back. I like the professional look of Plex but give the home users the same features as Plex Pass main user. You're sort of right when you say "they only care about the Plex Pass users." They care about the MONEY. They couldn't care LESS about the users. The platform continues to get worse and worse with more bugs, crashes, issues, incompatibilities, etc. And, as a Plex Pass user that is having problems with paid features, I can't get their attention (even though I am one of MANY having the same issue). They have recently overhauled their forums with new software that is supposed to make it easier to post and for everyone to find relevant threads. The reality is that no one posts stuff in the right place, the mods have to keep moving everything, and Plex never responds to bug reports or critical issues. The Android TV app is seriously buggy and crashes all of the time, the server gets "lost" and the client can't connect, and mobile clients no longer support accessing your locally sync'ed content unless you're in Airplane Mode (they no longer support choosing local media as a source, and trying to play something you've sync'ed ends up streaming from the server). They continue to pad their offering with partnerships, features, and other garbage that no one wants because it's a way for them to bring in revenue. They are too big for their own good and are going to suffer the backlash as users dump the platform for something that WORKS. Home Users can also use Live TV, it is just very (stupidly) hidden. You have to enable it for every Home User under Plex Home-Users -> the specific home-user -> restrictions -> enable live tv, don't know if the names of the menus are 100% correct i use the german plex version and just translated it. I use both (have lifetime subscription for both apps), and they are very similar. However, the main missing feature in Emby (and this is why I hardly use it these days) is limited support for SSL. In Plex it comes out of the box. In Emby, you need to set it up yourself (buy a certificate, etc., major PITA). From stability perspective, Emby seems to work a bit better (I have constant issues with needing to reboot Plex server/computer). I assume you need to have an external domain name for this, right? Any instructions with the steps how to set it up? I'm sure there are setup instructions, if not in Help then certainly in the Emby forums. Its the same for almost every app running at home that you want to access remotely - you map the UP address/DNS entry to a port that allows access through your firewall. Since your IP address can change (depending on your Internet Service Provider), it does make life a whole lot easier to have a DNS name registered. I use noip.com and they have free and low cost upgrades available. There are several others that work just as well. So, its not hard and it works well. Well, it's a hassle. With NOIP, you need to reconfirm your free account every few weeks, or you need to get a paid account (and pay monthly). And I do not quite agree that it's not hard. Plex is not hard: you don't need to do anything (it has other issues, but we're talking SSL here). I'm an IT professional, and I'm still not quite sure how to set it up for Emby (I suspect I can figure it out, but I do not want to waste time on it).